Continuing the ongoing series of interviews with creative artists working on various aspects of movie and TV productions, it is my pleasure to welcome Dan Laustsen. In this interview we talk about Dan’s work on one of the most visually striking films of 2016, “Crimson Peak”, as well as about the transition from film to digital, different ways to convey suspense and horror, minimizing disruptions on set for the actors, and the magic of making films. Dan Laustsen on the set of “John Wick: Chapter 2”. Photography by Niko Tavernise. Dan: I was born and educated in Denmark. I studied set photography, and when I was 21, I was bored with it. At that time I went to the Danish Film School to study cinematography. I’ve spent three years there, and after graduating started working on my first feature film straight away at the age of 25. Nobody in my family has anything to do with filmmaking, but I am very happy about being here. Kirill: Has much changed for you in your field over the years? Dan: Telling a story is the most important thing that we do. That’s the basis of everything that you do. You work with the script and you paint with light. In the old days we shot everything on film, and things are getting faster and faster now. The equipment is getting better. At the beginning of it I was against digital. I didn’t like the look, but that has changed after a while. 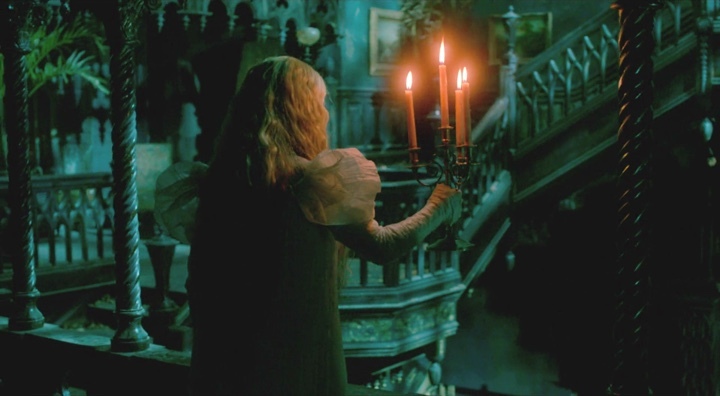 We did “Crimson Peak” on digital, and I was very pleased with the look. Alexa is doing a fantastic job with its cameras. It’s easier to see what you’re doing. In the old days you had the magic of capturing the image on camera, and that’s disappearing. It’s a shame because you were not totally sure how it was going to be, and you had to wait for the lab to process dailies. All that disappeared, but I’m not afraid of that. It works fantastic and helps with what we do, which is to tell a story in the way we want to. The lenses are getting better, and I’m very much for that high quality that it brings to cinematographers. I don’t go for old-fashioned lenses. I’m using the high-end equipment as much as I can. Kirill: While that magic is gone, on the other hand everybody can immediately see what the camera sees. That must be creating a tighter feedback loop for fixing whatever issues crop up on the set. Dan: For sure, and that’s good. Everybody has opinions, and I think the most important part is for the director and the cinematographer to work together. Everybody on the crew works together, and it’s much easier now. We have high-quality video monitors on the set, and everybody can see small mistakes and fix them right away. But the magic of movie-making has disappeared. It is what it is, and I think it’s helping everybody. Kirill: Do you think it’s becoming easier for people to get into your field, as the equipment for shooting and editing is becoming cheaper and more widely accessible? Dan: I’m sure it is. You can shoot with an iPhone or a small camera. Everything is about the story, and it’s much easier to tell those stories now for younger directors. You don’t need to spend a lot of money on labs, for example. You don’t have to be afraid of anything any more, and that gives a big push to everybody. Kirill: What makes people still go with film as a medium? Dan: You’ll have to ask somebody who is still shooting on film. People are shooting on 70mm, and the quality is amazing. For me personally, digital is doing a fantastic job. You can get a bit nostalgic about it. I’ve shot feature films on 45mm, and I was very much against digital at the beginning. But what we’re getting now from digital is fantastic in my opinion. You still have to light the scene to tell the story in the right way. What I like about making movies these days is that there are no rules. You can do whatever you would like to. In the old days you had so many rules about what you could and could not do, about lines that you could not cross. All those rules have disappeared and that’s so good. You can tell a story in exactly the way you want. 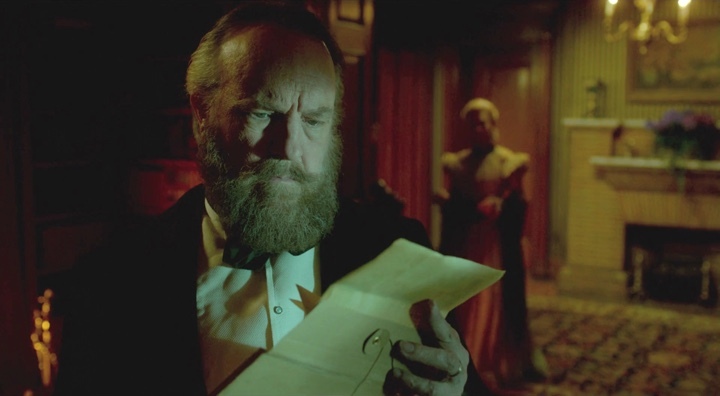 Kirill: If you talk about “Crimson Peak” and other movies that you made in the similar horror or partially-horror genre where a lot is happening in the shadows, would it be possible for you to achieve that look five or six years ago when digital cameras were not capturing the shadows as well as they do now? Dan: I don’t think so. When we shot “Silent Hill” in 2006, it has dark parts with flashbacks. We shot that on digital, and the rest of the movie was shot on film. The differences were there, but they were very subtle. It was hard to tell what was film and what was digital. The quality of digital is so good now, and it’s getting better every day. It’s amazing. Everything is getting better and getting into a much more high-scale moviemaking if you can afford it. Kirill: What about the transition from special effects to digital effects, as far as augmenting the reality of what you’re capturing on camera? Dan: I think it’s about the tastes. There are movies where VFX is done in a cheesy way. In the old days you were doing blue or green screens in a very precise way, and nowadays you can shoot more or less without them. You can rotoscope things out, and that part is becoming easier to do. You don’t have to be so precise any more. You can do a handheld, move the camera, or do a Steadicam. Things are not so stiff any more. It is a big help for moviemakers. Kirill: Staying with the topic of digital for a bit more, has that changed things on set for you when you can take longer takes and let the camera just keep rolling. Dan: That depends on the director. Some directors are running it in a very old-school way, doing rehearsals and precise cuts. And some directors keep on doing a scene again and again without ever stopping. Of course, in the old days the cost of film stock was a big issue. 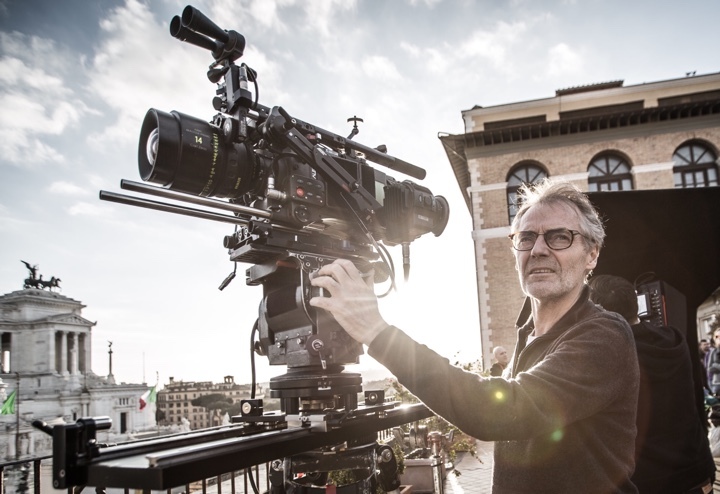 Digital gives directors an option to keep on shooting. Guillermo del Toro, of course, never does that. He cuts, talks to everybody about what they like and what they don’t like, and then he does it again. On some movies it doesn’t matter if you’re shooting film or digital. That cost is so small compared to the whole thing where everything around is so expensive. So the money you spend on film stock is not a big deal because you want to do it right. On film you had to stop after ten minutes and replace the magazine, and now you can go for twenty minutes with digital, or however much that card can hold. It gives you more freedom because you have longer takes. But again, that depends on the style of the director. 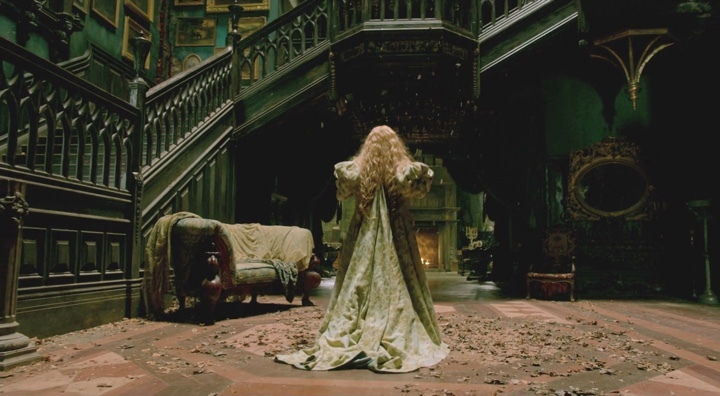 Kirill: Speaking of directors, “Crimson Peak” was not your first collaboration with Guillermo del Toro. Does it get easier as you get to know each other better and anticipate what they expect from you? Dan: Of course. 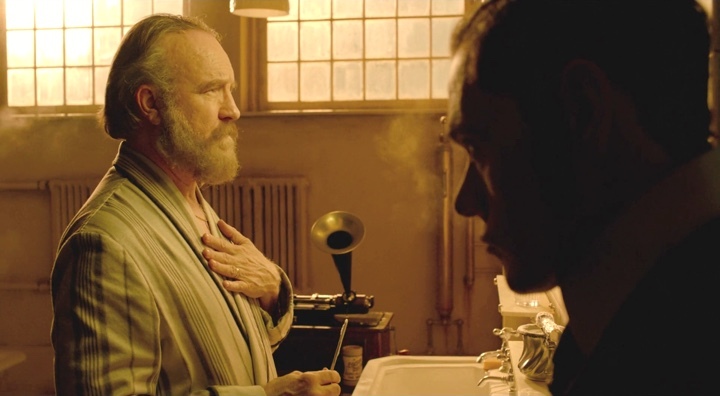 We did “Mimic” and “Crimson Peak”, and now we’re doing “The Shape of Water” together. When you’re doing a movie, you’re there for five, six or eight months, and you’re going to be so closely together with the director. For me having a great relationship with the director is the most important part of moviemaking. You have to share a taste about highlights, colors, camera movement and capturing a scene. That’s so important for a cinematographer. You have to have the same feel and taste about the scenes in that movie. And it’s easier when you already know that person. Kirill: How do you tell people that don’t work in the industry about what you do for a living? Dan: The movies that I love know where the camera should be and how the lights should be. When you talk to people who don’t know about moviemaking, the most surprising part for everybody is that there are so many people on the set. It depends on the size and the budget of the movie, of course. Being a cinematographer is the most fantastic job on the planet. Some people understand it right away. I’m helping the director to make his or her movie. You’re telling the story the way the director wants you to. If I’m saying green and he’s saying blue, of course we have a problem there. It’s important that you use the same language to tell a story. It’s just a drag if you don’t agree about the way to do it. With Guillermo we agree on everything, and it’s a fantastic collaboration to have. Kirill: Going back to “Crimson Peak”, what was the scope of your responsibilities during the pre-production, and what did you do when the shooting started? Dan: When I got the screenplay, I had some ideas about how I saw it. Then I met with Guillermo and we watched some movies together with the production designer Thomas Sanders, talking about how it should look. We had a lot of discussions about how to shoot that movie. But it was easy because we agree about everything related to shadows, light sources, key lights etc. You talk about colors and movement, but you’re in very much the same boat from the beginning. It wasn’t difficult for us to get there. And as you start shooting, you have monitors and you see everything. If there’s something that we didn’t like, it was easy to change it right away. When you agree about how the movie should look, it’s pretty simple to get there. We didn’t have big discussions about a lot of stuff, because we shared the same opinions and the same taste. Kirill: Has much changed when the shooting started? Were there any big changes as far as the direction of the script or the visual language? Dan: The movie looks pretty much exactly as we thought about it when we started. A lot of camera movements, single-source lights and shadows of the faces were there from the beginning, and we didn’t change them much in post-production. We were very clear about the colors from the beginning, with warm key lights and steel blue during the night time. Kirill: Is there any significant difference from what I see in the final cut and what you saw on the sets? Dan: I’d say it was 99% the same. Nowadays you’re color-correcting on set every day, and you have that look in your dailies. That look is going into the editing room and the color correction. We changed it very little, and it was very close to what we shot on the day. That’s the way I like to work. I like my dailies to look more or less exactly as they need to be in the final version. I’m not changing a lot in the DI [digital intermediate]. I’m changing a bit in the blackness to even it out, but my dailies and my final movies are very close to each other. Kirill: Do you get to stay through the post-production phase? Dan: When shooting ends, I leave and then I come back to make the DI. It might happen a year later when I get back together with the director. We have a bit of input from VFX as they’re coming in. The DI is very important, because that’s the look of the movie. As I already said, we were in so much agreement with Guillermo about the look that we were shooting on the day, and we were not going to change it later on. We liked what we were doing. Kirill: There were quite a few special effects on the movie, especially in the Allerdale Hall where the ghosts of three ex-wives haunt Edith. How do you plan for the VFX that is added in post-production? Dan: That’s very much the director’s call. Guillermo del Toro has a very strong opinion the framing, and he shares that with us on the set. It’s a combination of three or four people, as moviemaking is a team work. I don’t think that we did anything special on “Crimson Peak” composition-wise for the creatures. We did that for the house, because the outside of it was a big CGI build. We talked about how high the house was, and how big the shots were going to be. Kirill: Allerdale Hall was built as a three-story set on a studio lot. Does that give you more flexibility to move the camera within those spaces and follow the characters without cutting in the middle? Dan: Of course. We built the house inside Pinewood Toronto Studios. Having such a fantastic build gave us the option to go between the rooms. It’s fantastic for a cinematographer to have such amazing sets. It’s a challenge to light such big sets. It was a really big job to light it, from the basement all the way up to the top floor. It wasn’t easy, but in the end it turned out well. Kirill: I watched the movie twice in the theater, and the scope of that mansion was amazing. Dan: When you’re coming into the house and the big lobby for the first time, the camera shoots up and you see the sky. That was a CG shot because we had a lot of lights up there to light the walls. VFX guys did a great job to paint the lights out and make the sky. Then in the end you have a snowstorm when Edith is trying to leave. We had green screens there, changing the background to CG shots. I think that blend worked really well. 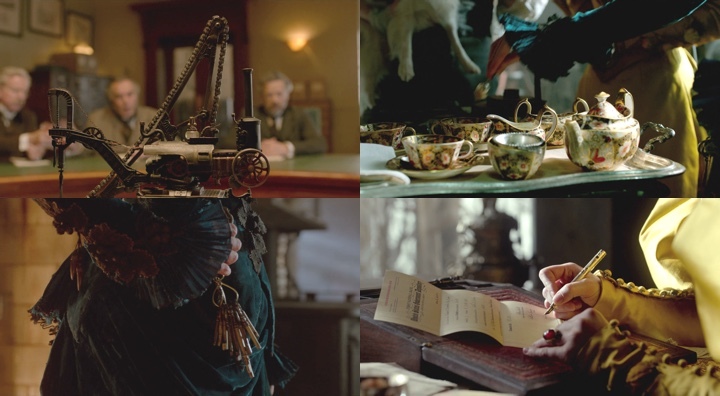 Kirill: The color palette of “Crimson Peak” used a lot of very strong colors. Does that give you more options as a cinematographer to visually convey the emotional side of the story? Dan: For sure. It was very important for me, and especially for Guillermo, to have a very colorful movie. I started on “Crimson Peak” right after finishing “1864” in Europe. There we had almost no color, so for me it was fantastic to get into a world where I could play with the colors. It was very saturated, with oranges and steel blues and cyans. It was such a pleasure to do that. It was fantastic to be able to paint with those colors and tell that story. Kirill: There are so many scenes where the character of Edith is alone, surrounded by shadows and ghosts. Dan: That’s what I like. I’m a big fan of deep shadows. It was important for both myself and Guillermo to play with those shadows, to not be afraid of the darkness. We didn’t want to make it completely black because then you don’t see anything. 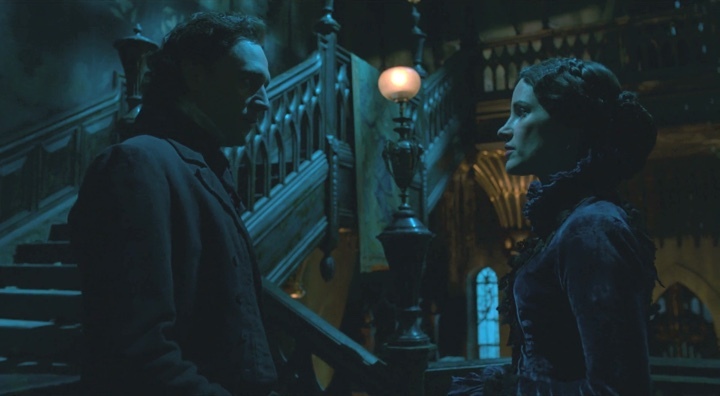 Everybody is talking about “Crimson Peak” as a dark movie, but I don’t think it’s that dark. For my taste it’s more of a love triangle story and not a ghost story. This is how I read the screenplay the first time. Of course you have ghosts and scary parts, but for me those three characters are the key to the story. Kirill: You’ve worked on a few horror movies over your career so far. There are two main approaches to conveying the suspense or the characters’ fears. One is to show everything explicitly on the screen, with lots of loud music and close-ups of people screaming. And the other is to hint at something that is lurking just beyond the edge of the frame and let the viewer’s imagination complete the scene. Which one do you prefer as a moviemaker? Dan: I definitely prefer the later. If you have a feeling about something, I think that’s much scarier, compared to seeing it. Thinking back to the first “Alien” movie, you see the actual alien very little, but it’s so scary. There is something in the colors and the darkness of it. I think that if you don’t see what you should be afraid of, it’s much scarier. 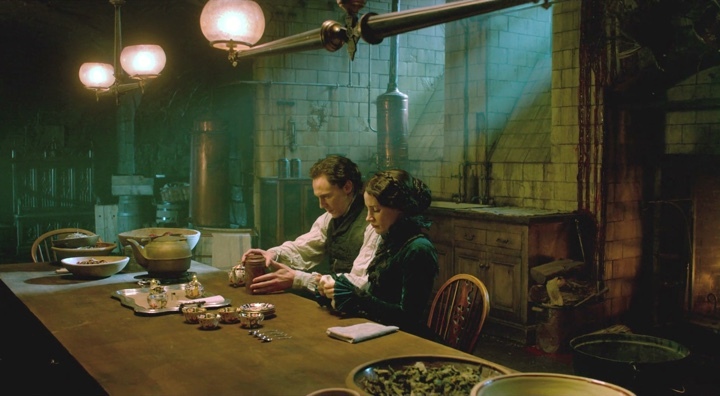 But again, I don’t see “Crimson Peak” as a horror movie. Kirill: Would you consider Allerdale Hall to be the most challenging set on the film just because of its sheer scope? Dan: I think that was definitely the most challenging. As a cinematographer, you’re painting with light. You also have the camera, but you use both to tell the story. I think light is a much more powerful tool compared to what a lot of people are doing now. I’m not a big fan of flat lighting. It’s important to use the light to paint the actors’ faces and to tell the story. What you don’t see sometimes is what you’re afraid of. Allerdale Hall was a big set and it was great. We could move the camera without cutting, going down the hallways with a Steadicam, going into the elevator all in one shot. You don’t see that so often in feature films, as you don’t normally have big sets. For us it was a big challenge to tell the story that way. Kirill: I was very happy to see “Crimson Peak” as a mid-budget production that was made as a feature film. We have a few huge tentpole sci-fi movies, and a lot of low-budget indie productions, and not really much in between as those stories have migrated to episodic television. Dan: Guillermo is not a guy who fixates on the budget. There is never enough money, and you have to move fast for things to look the way you want them to look. That’s just the way it is right now. That’s how it’s been for a while, but it feels that you have to move faster compared to what you did a dozen years ago. You set up your plan as a cinematographer and execute it. Kirill: You mentioned that you have a lot of crew members on the set. If you’re doing an emotionally charged scene where actors are exposing strong emotions, how do you minimize the distractions introduced by the crew and the equipment? Dan: Every scene that you do requires a lot of respect for the actors. Of course, I have to be where I have to be, but you have to be prepared and not make a lot of changes. You have to try to make a plan. If you have a problem, you fix it of course, but when the actors are getting into the scene and you stop it to change the lights, it’s not the best approach for a complicated scene. Everybody on the set is so professional, and they know what they’re doing. Nobody is fooling around. When you’re shooting with Guillermo, you know that there are no cellphones on the set. You don’t see that so often any more. Everybody wants to help the actors as much as they can. I think the most important thing is to have a plan. You need that plan in your head before you start shooting the scene. Kirill: When you work on a movie for all those long months, you see every scene, every set and every take. Do you get to enjoy that movie when it comes out in the theater? Dan: A lot of times, I see the movie during the production, especially with Guillermo as he’s editing every day. I see all the rough cuts, and I know that movie very well. I can still enjoy it in the theater, but I’m not as surprised as I am when I’m watching a movie that I did not work on. Kirill: Do you enjoy watching movies as stories, or are you always looking at the technical side of things that your peers are doing? Dan: I love to see a good story, but as a cinematographer, I look at the lights and the camera movements. Sometimes you watch a strong movie, and you’re getting into the story so much that you don’t see anything else. That’s fantastic, but most of the time I start thinking about the technical aspects of how and why they did a certain thing. It’s a bit crazy, unfortunately. That’s the other side of being a cinematographer where you look at what your colleagues are doing. And sometimes you see a movie that is so strong that you forget about everything else. And that’s the way it should be, but I never get that on my own movies because I know the story so well. Kirill: After all these years, a lot of time spent away from family and friends, and long hours on the set, what makes you stay in this field? Dan: The hours are sometimes insane, but I just love being a cinematographer. I love to paint with the light. I’m a big fan of moviemaking. It’s the only thing I can think about doing. Now that my kids are older, it’s not as difficult, but it’s still there. You’re away for six to eight months, and that’s tough. I think you have to have a passion about moviemaking. You have to have that to be a good cinematographer. You have to love what you’re doing. The hours are insane, and that’s the bad part of Hollywood. Sometimes you work 18 hours a day and you’re exhausted. But then you see the dailies and they are fantastic. I love what I’m doing and I’m going to do that as long as I can. I think that is true for most people who are making movies. Very few are in it for the money. The hours are insane, and everybody I see on the floor – camera, lights, props – is there because it’s a fantastic field of work. I’d like to thank Dan Laustsen for graciously agreeing to answer a few questions I had on the craft of cinematography and on what went into creating the fantastic world of “Crimson Peak”. The movie is out on BluRay and other physical and digital formats. You can also buy “The Art of Darkness” book, a beautiful hardcover edition that chronicles various aspects of this production. Finally, if you want to know more about how films and TV shows are made, click here for additional in-depth interviews in this series.